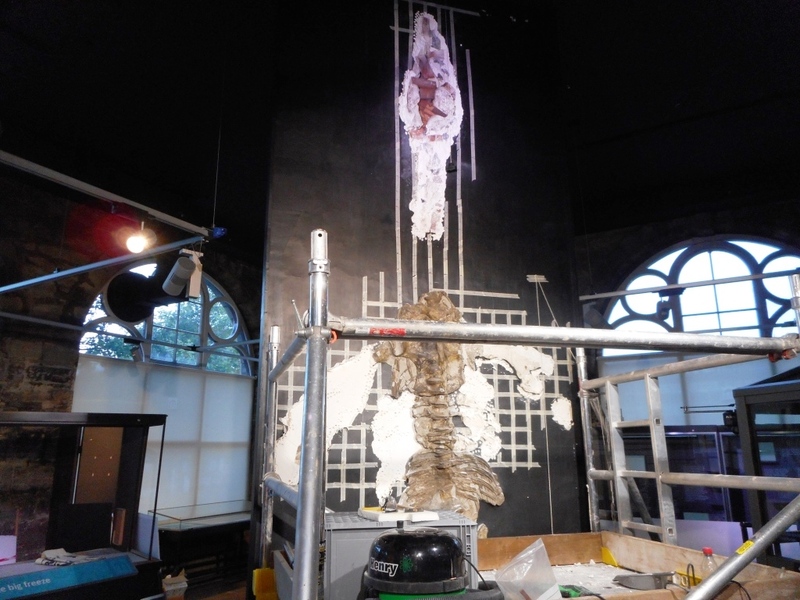 The Plesiosaur is all gone! 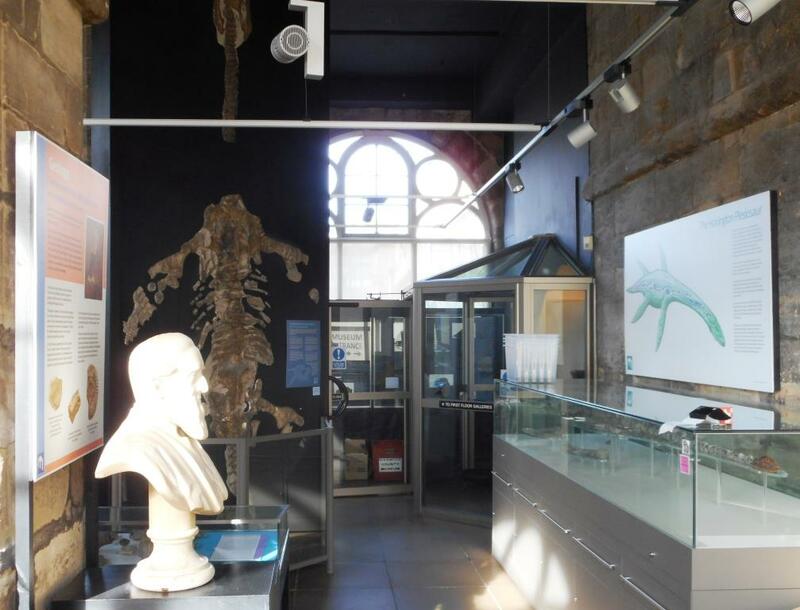 The Wilmcote Plesiosaur has always been an impressive sight; discovered in the early 19th century at Wilmcote, near Stratford-upon-Avon, it has been a fixture in the museum for over 100 years. Around four metres tall and mounted vertically in the gallery, it was a striking example of the kinds of ‘sea-dragons’ that used to roam the deep around 200 million years ago. 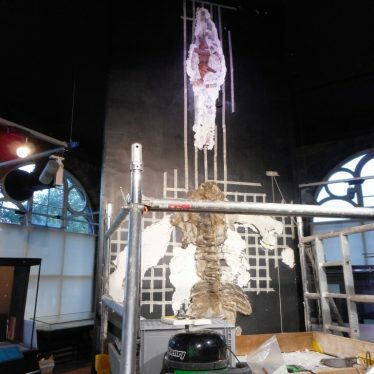 With the new designs for the downstairs gallery we thought we would take the chance to have some more work done on the plesiosaur, so we employed a specialist, Nigel Larkin, to take down the delicate fossil. 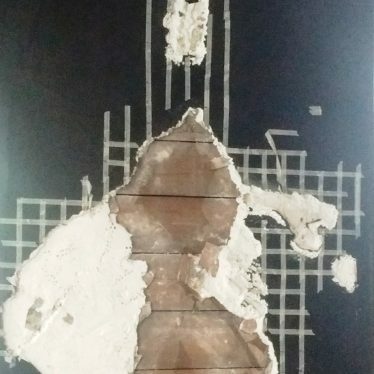 Nigel is an experienced geological conservator and had all the right equipment to make sure that there was no damage caused on removal. As mentioned here, plesiosaurs swam through the water with wing-like limbs and many had very long necks. Polished pebbles have been found within the rib cages of some plesiosaur skeletons and it is possible that plesiosaurs swallowed the pebbles to use them as ballast, like modern sea lions and penguins. 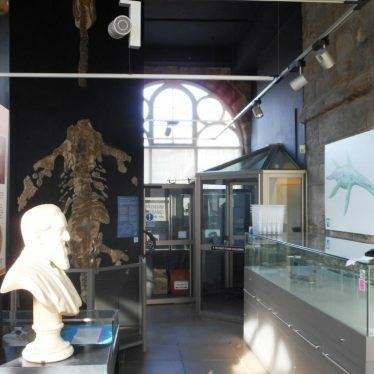 The Wilmcote plesiosaur was once thought to be long-necked, but with several neck bones missing. For this reason a gap was left in the neck when the specimen was mounted in the museum. We now think that this was a short-necked plesiosaur with all the neck vertebrae present, and indeed it may possibly be a new species! Once Nigel has prepared the fossil further and exposed more detail we can ask an expert to check and make sure. In future we are thinking of different ways of interpreting the fossil, using casts to show more detail or even 3D scans.